Risk Retention Groups, also known as RRGs, are entities owned by their insureds and authorized to underwrite the liability insurance risks of their owners. 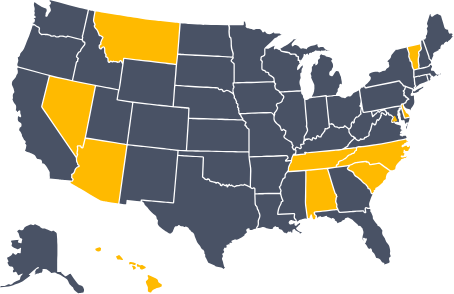 RRG owners must be from a homogenous industry group and based on a single state license are able to operate in all 50 states and the District of Columbia. RRGs can be licensed as a traditional insurer or as a captive insurer, with most RRGs opting to form under a state’s captive insurance code to permit greater flexibility with respect to the use of GAAP accounting for financial reporting and the ability to use Letters of Credit for capitalization. RRGs may be formed under most corporate structures, including a stock, mutual, or LLC basis company. RRGs can also be formed as a reciprocal insurer, which can provide very beneficial tax treatment when the underlying insureds are all qualifying non-profit entities. RRGs can secure an AM Best rating in the same way as any traditional insurance carrier. Typically, newly-formed RRGs will not have the capitalization levels or operating history to initially secure an AM Best rating. Many RRGs secure a rating from alternative rating agencies, such as Demotech, which is an approved rating agency by HUD. For unrated RRGs that have some members requiring liability insurance from an “A” rated carrier, Risk Services can help. We have a proven history of developing unique solutions to address such needs. Risk Services is recognized as an industry leader in the Risk Retention Group industry, having formed more Risk Retention Groups over the past decade than any other captive manager in the United States. Whether it’s the formation and management of a new RRG, assuming management services for an existing RRG group, or facilitating a RRG redomestication, Risk Services has the expertise to aid your RRG program in reaching its goals. Risk Services can provide all the necessary insurance professional services our clients need to complete their captive insurance programs. Our team at Risk Services is proactive, anticipates our needs and provides sound, timely advice based on a wealth of knowledge and experience. Their stellar reputation in the industry is value-added when navigating regulatory matters, interfacing with service providers and procuring unique opportunities for our company.